On Friday 12th April to complete our Holy Week assemblies it was the turn of the children from Year 6 to act out the Stations of the Cross. 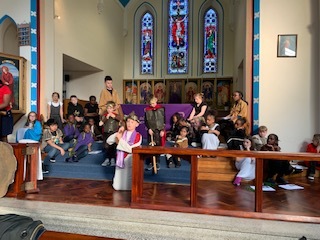 The children did a very special and respectful job or showing Jesus’ final journey to the Cross where he was crucified, the children read and acted beautifully. A lovely way to complete Holy Week in our school – thank you Year 6. 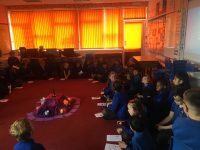 On Friday 12th April the children from Year 4 prepared and shared a special gathering with their prayer partners from Year 2. 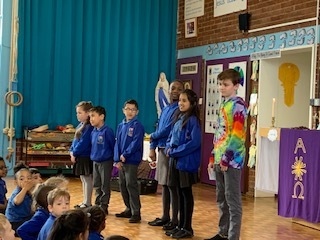 Year 4 prepared beautiful music and readings to share with their prayer partners and Year 2 really appreciated all of the effort they had gone to. 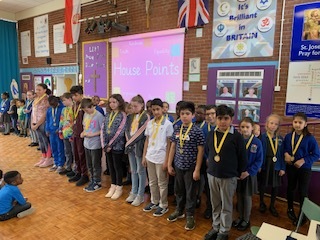 During our end of term assembly on Friday 12th April we congratulated our house winners for this term. It was a very close contest with all of the teams scoring well over 8000 house points! However, it was Forgiveness who collected the most house points and received the house cup dressed in their colours! 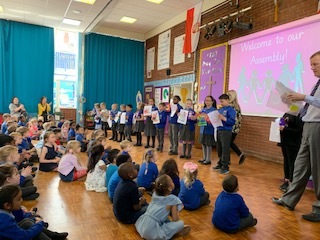 On Friday 12th April during our end of term merit assembly we congratulated all the children who have had good attendance or 100% attendance for both the Spring term and the Autumn and Spring Term. The children who have achieved 100% attendance for both the Autumn and Spring terms received a special attendance medal – and there were nearly 50 children! During our end of term merit assembly on Friday 12th April we congratulated our spelling winners for this half term. 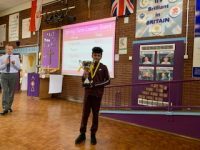 Each week children who achieve full marks in their spelling test get to put a raffle ticket into a special spelling jar. Once every half term a winner from the jar in drawn and they receive a £5 gift voucher! Well done the winners for this half term! 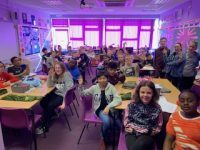 On Friday 12th April during our merit assembly the prizes were given out to the winners of the lunchtime colouring competition run by our school meals service at Bishop Milner. The children all had the opportunity to enter the colouring completion and it was a hard decision but we congratulated the winners, who all received an Easter Egg, chosen by Trudy the Head Cook. On Friday 12th April the children from Year 6 came to school in their own clothes in celebration of their class saint! Year 6’s class saint is Saint Bernadette whose feast day was celebrated on Tuesday 16th April. 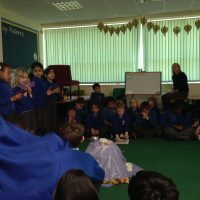 The children enjoyed learning even more about Saint Bernadette on their special day and also enjoyed coming to school in their own clothes! Happy Saint’s Day Year 6! On Friday 12th April the children from Reception came to school in their own clothes in celebration of their class saint! Reception’s class saint is Saint George whose feast day is celebrated on Tuesday 23rd April. 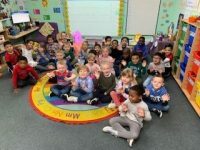 The children enjoyed learning even more about Saint George on their special day and also enjoyed coming to school in their own clothes! On Thursday 11th April the children from St Joseph’s acted out the events of Holy Week in the Church. It was a beautiful service and the children acted, read, played instruments and sang beautifully! 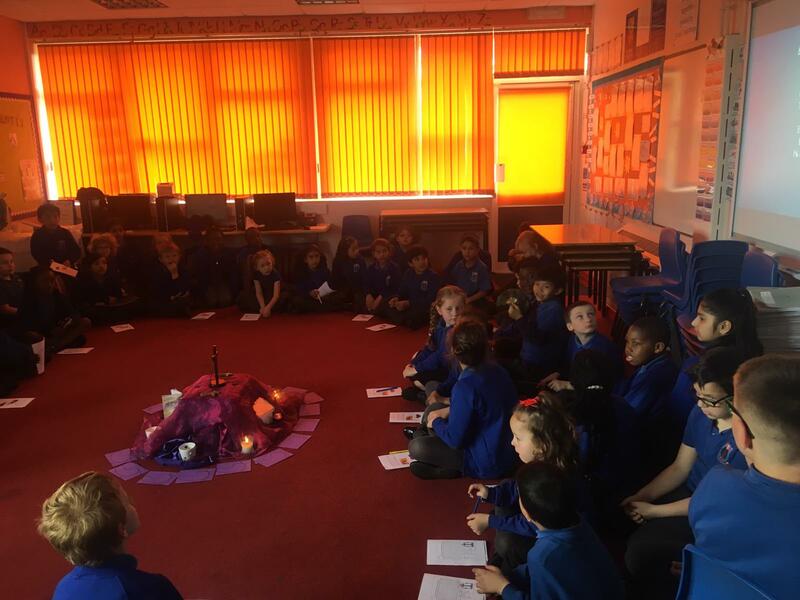 On Thursday 11th April the children from Year 2 prepared a special gathering to share with their prayer partners form Year 4. 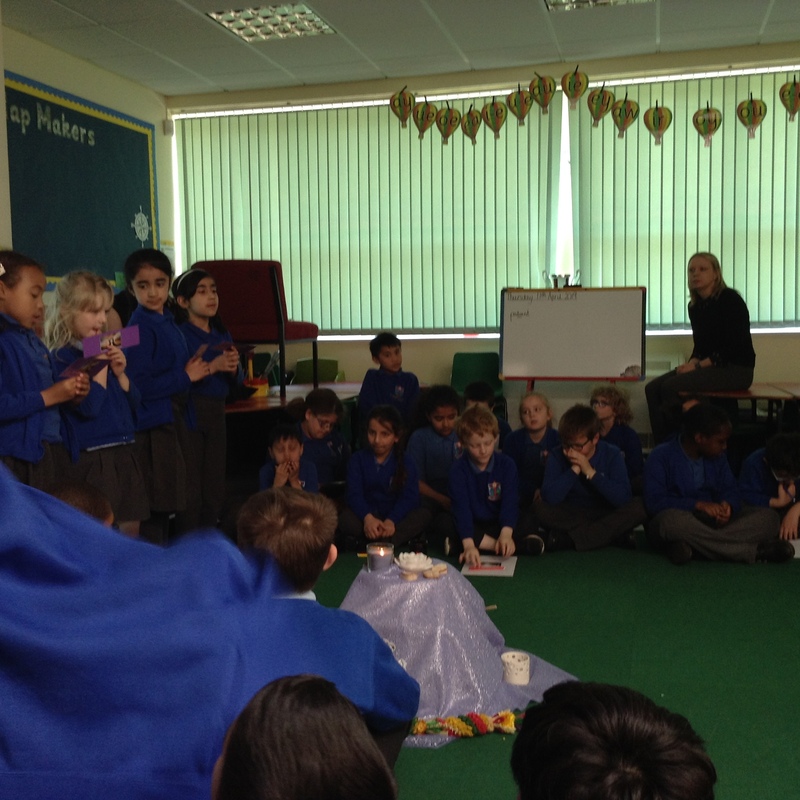 Year 2 prepared lovely readings, songs and a lovely display to share with their prayer partners. 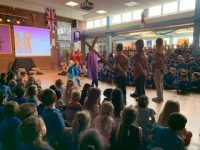 Year 4 really appreciated all of the effort Year 2 had made to make the gathering extra special. Content and Images © 2011-, St. Joseph's Catholic Primary School. St Joseph's Catholic Primary School part of St John Bosco Catholic Academy Company, 08608177 (registered in England and Wales).